Before Borders Books closed their doors I picked up as many armchair travel books as I could find. At eighty percent off, the deals were just too good to ignore. The closeout sale helped expand my author base, too, since I was able to justify taking a chance on a writer I had never heard of before. One of those was Peter Hessler and his book River Town: Two Years on the Yangtze. River Town is an account of Peter Hessler’s two years volunteering for the Peace Corps in the Sichuan Province of China. He lived in the samall city of Fuling working as an English teacher at a local college, which trained other teachers. During school vacations, Hessler struck out to see more of western China, avoiding the regular tourist areas someone would normally writer about – like Beijing, Shanghai, or Hong Kong. I really enjoyed the readability of River Town. Peter Hessler writes in a very easy and conversational manner, neither above the reader’s head nor below their education level. It is just a simple, straight-forward style with excellent depth thanks to his research and knowledge of Mandarin and the local Fuling dialect, both of which he learned while teaching in Sichuan. Peter Hessler was in China when Deng Xiaoping, the former General Secretary of the Communist Party of China, passed away. I thought Hessler’s insight into the death and the way the Chinese people in the area reacted was excellent. But he also nailed one of my pet peeves. It is so minor that it is almost not worth stating, but it is the only thing that ever bothered me while reading River Town: Hessler wrote the flags int he country were put at half-mast, not half-staff. The diffference, which is tiny but a matter of accuracy, is simple whether the flag is on sea or land – and in this case it was on land (half-staff) and not at sea (half-mast), as he wrote. 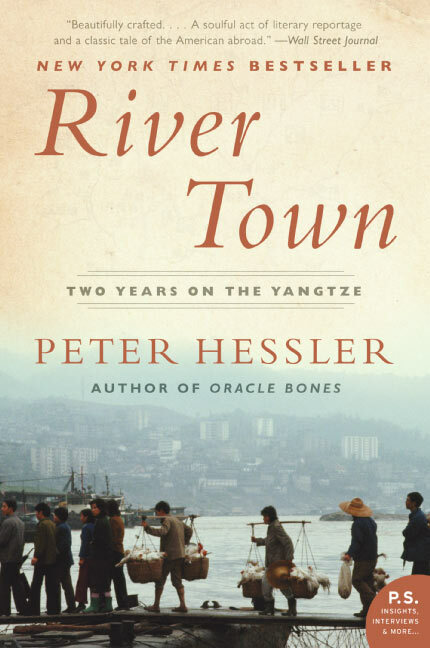 I loved reading Peter Hessler’s River Town and would recommend it to anyone who loves reading armchair travel books or is thinking about heading to China on vacation, even to the more touristy areas. The story is engaging, insightful, and even humorous at times. I really got into it and will, as a result, look for other titles by Hessler – an author who I sadlydiscovered as a result of the Borders closeout sale. It was nice meeting you, too! And no, I haven’t read Pearl Buck. Please tell me more! You’ve got me interested, Jason. Love books about China. I travel vicariously through books and bloggers. I live on Maui and love it. Nice meeting you today at Flatbread. Ever read Pearl Buck’s books in China?